The producers at the Les Corbins estates in Saint Emilion are starting to declare themselves “happy” with the 2012 vintage despite the small quantites. François Despagne of neighbouring estate Château Grand Corbin-Despagne added that it had been a tricky growing season, “the complete opposite to 2011” but in many ways much more “classic Bordeaux, hot and dry”. The season has been exceptionally late this year, with many growers only just finishing their harvests and many more yet to finish. 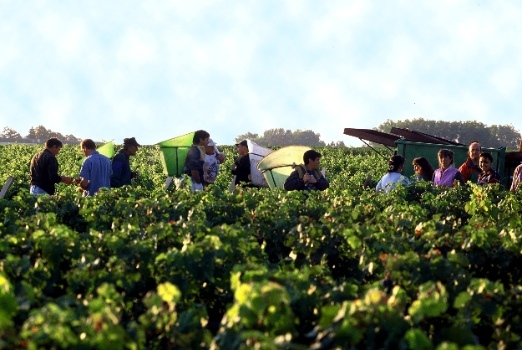 Yseult de Gaye of Château Grand Corbin-Manuel said that the last few days of harvesting had been beset by rain – which many had feared – however there was no rot to speak of.